'Union of South Africa' Locomotive No 4488 A4 Class, 22 June 1937. 'Union of South Africa' Locomtive No 4488 A4 class engine. 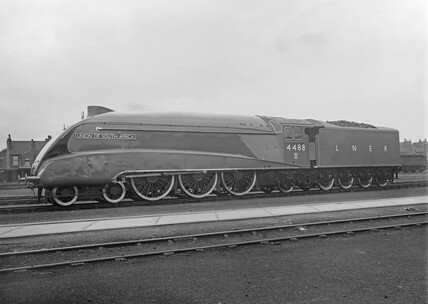 LNER. Photo taken 22 June 1937, from right hand broadside.